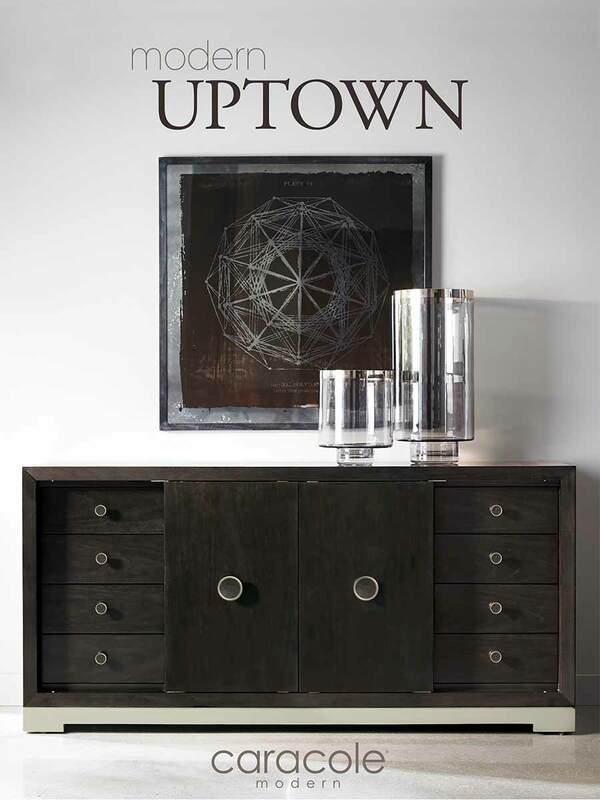 Modern Uptown is the visual expression of a life well-lived. Offering a clean, modern aesthetic, it represents a compilation of today’s most relevant design elements distilled to their purest form. Its persona encompasses urban and global influences and a penchant for simple comforts. Architecturally inspired yet ultimately functional, this remarkable collection makes home a destination. If the item is not in stock we can import it for you. The delivery period is 8 weeks for most of the furniture from Caracole. If you wish us to import any of the pieces below we will request a 50% deposit to initiate the order with the balance payable upon arrival in Johannesburg.